Stella passed away peacefully with family by her side on February 4, 2019 at the age of 92. She is survived by her daughter Helen (Bob), son Dennis (Kathy), grandchildren Nicola and Alexander and great granddaughter Elianna. She was predeceased by husband Kazimierz Sadowski and husband Frank Poje. Many thanks to Dr. Koss and the staff at Orchard Park Manor for their care and kindness. A Mass of Christian Burial will be held on Friday, February 8, 2019 at 12:00 pm at Immaculate Conception Catholic Church, 839 Sutherland Avenue, Kelowna, BC with Father Cerlouie Jimenez officiating. 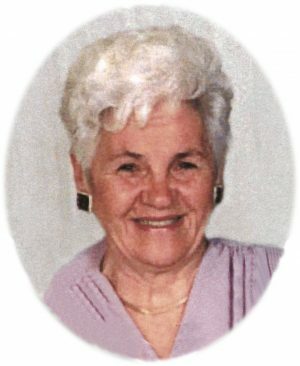 https://alzheimer.ca/en/bc Condolences may be sent to the family by visiting www.springfieldfuneralhome.com. The service for SADOWSKI, Stella (Stanislawa) is scheduled for Friday, February 8, 2019 at 12:00 pm . Below you will find the map for the service location and the contact information should you have any questions.